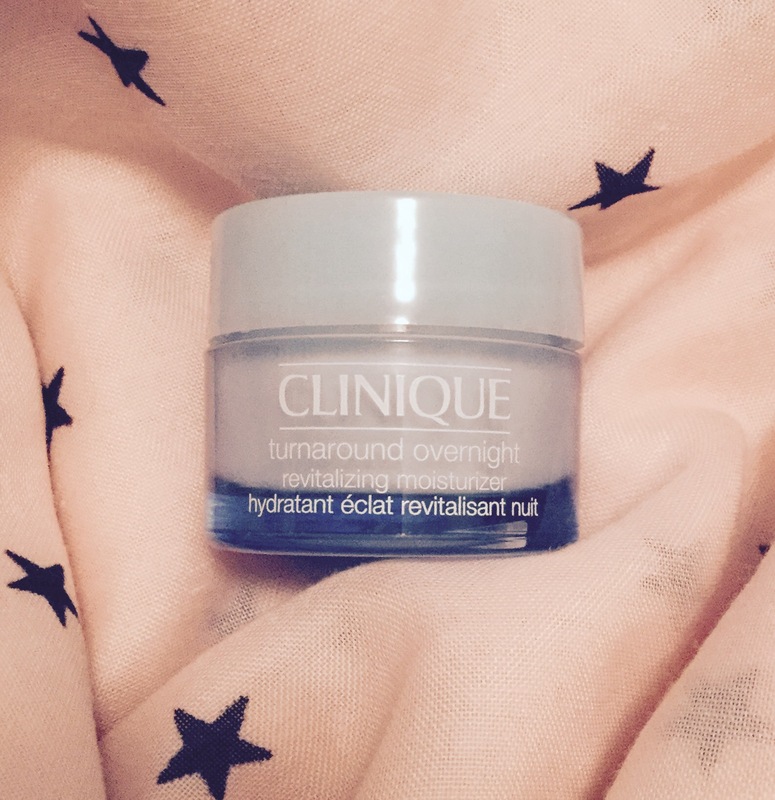 Back in September, I reviewed Clinique’s Turnaround Daytime Revitalizing Moisturizer and, while I still use it every morning, I have also been reaching for my sample size of the corresponding Turnaround Overnight Revitalizing Moisturizer. I was really interested to see the difference between the two products, and my skin can always use a little extra hydration overnight. Before applying this moisturizer, I prep my skin with my nightly skincare routine and substitute this in for the moisturizer component. I apply this to my face and neck, but a little goes a long way so I only use two small dollops. I have been using this since November when I received it in my second Autumn 2015 bonus gift, and I still have some left. I will be needing another jar of it soon but three months is a long time for a sample size to last. The full size of this product retails for $46, which is definitely pricy, but this is a great lightweight and hyper-hydrating moisturizer. I have raved about Clinique as a brand numerous times in the past, but for good reason because all of their products are oil- and fragrance-free so I can experiment with them without without worrying about irritating my sensitive skin. The morning after I have used this moisturizer, my skin feels super fresh and hydrated. Now, as a university student, I occasionally get those pesky 11 wrinkles between my eyebrows, especially during exam time when my brow is often furrowed in studying concentration (yeah, right), but after using this moisturizer for about a week, those lines completely disappear, so even though this product is not marketed as a wrinkle reducer, I have noticed a change in my skin. This moisturizer offers the trifecta of retexturizing, toning, and plumping of skin, and also reduces sun damage. I have been lucky enough to never have a sun burn, but this moisturizer is a lovely post-sun exposure remedy to any sun damage. Of course, always wear sunscreen. What is your favourite product in Clinique’s Turnaround range??? I’ve never tried this Clinique moisturizer before, but it sounds lovely and so hydrating! I might have to try it out! I would highly recommend it, but see if you can get a sample size, because the full size is pricy!!! Thanks! I’ll definitely try to snag a sample when I’m at a Clinique counter!! !